What once was a bland space between Stones Corner and Carindale is now a trendy and diverse go-to for breakfast, lunch and dinner, and we’re here to fill you in on all things tasty in Coorparoo. Reel her in! 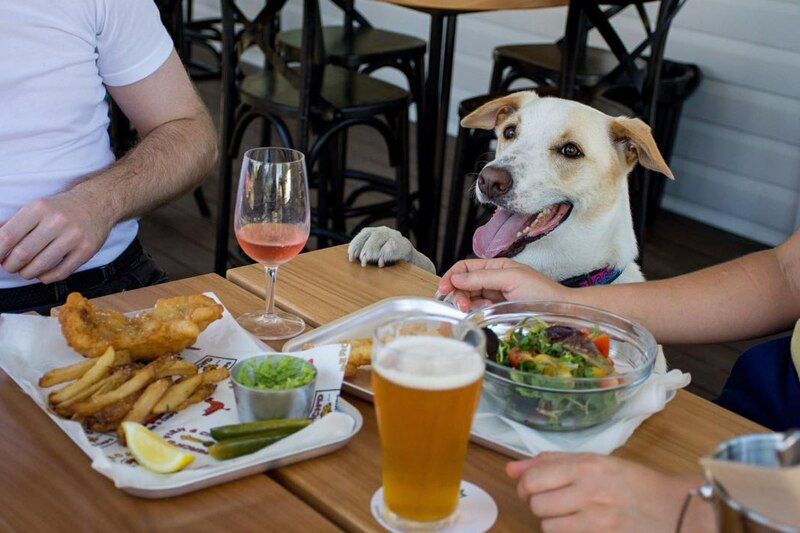 Having recently popped up in Coorparoo, Perch’d is already winning the favour of locals and guests alike by offering passionately put-together fish ’n’ chips, with a sea’s worth of more in store. Sourcing only the freshest seafood from local wholesalers, the team behind Perch’d are then able to take what you know and love and take it to new heights with thrice-fried hand-cut chips, fish from whiting to salmon, chip butties, house-made Chiko rolls, battered pineapple and veggie burgers. As you sip a glass of wine or knock back a bit of tap beer on the verandah, you’ll have found inner peace… until you realise that you have to go back to work tomorrow. Cheers! Pappa don’t preach… unless you’re promising Japanese puff pastries. PappaRich’s fifth store full of Malaysian cuisine lives at Coorparoo, but being the first of its kind, this particular Pappa has a sweet treat up its sleeve. Sharing its premises with sister-brand, PAFU, you can grab a traditional Japanese take on French apple turnovers that’ll hit your tastebuds like a delicious tonne of bricks. An apple a day keeps everyone coming back for more PAFU. This long-term Coorparoo staple treads a perfect balance between classic and contemporary breakfast fare. Avocado lovers will be pleased with their generous portions, while those chasing a unique breakfast experience can enjoy specials like combination phó or the Breakfast Fusion Bowl with tossed Asian rice topped with scrambled eggs, bacon, mild red chilli, and onion jam. If lunch is sweet music to your ears, they’re also good for it! Open seven days a week, this welcoming spot serves up breakfast, lunch, and dinner to locals and visitors alike. With 12 constantly-rotating taps, this is definitely a beer lover’s paradise, though there’s a great list of wines and cocktails, like the Above and Beyond with Pampero rum, elderflower liqueur, passionfruit, vanilla, mint and lime. On the food front, be tempted by small plated like Szechuan peppered squid, salt bush lamb meatballs and share boards, or on the larger side enjoy the likes of spanner crab linguini and a vegan burger with chunky fries. California Native is all about the fresh Cali-style Mexican. Think charred lime octopus tacos, clam chowder, Mojave barbecue half-chicken, and unreal enchiladas. The focus is on great ingredients, with Cape Grim beef, free-range poultry and eggs, and authentic spices imported from Mexico. Ay caramba, Cooparoo got spicy. A mix of gorgeous Mediterranean can be found at Ave, as well as revamped brekkie favourites like their famous ever-changing ricotta pancakes! Think poached pear and chocolate, blackberry, baked apple and pistachio, or chocolate, honeycomb, and banana. Be warned though, it gets busy! We recommend booking if you’re taking a larger group on the weekend. This cute Coorparoo fave literally has something for everyone in the family. Of course, there’s avo on toast, but the extensive menu also offers panna cotta with berry compote and granola, sweet corn fritters with poached eggs, a loaded breakfast croissant, and braised beef on flatbread. Pull up a seat and enjoy the aircon inside, or catch the breeze on their deck or out on the footpath. Wherever you end up, you’ll be well fed. Do yourself a flavour and eat your way through this list. Dear Ashgrove locals: you’ve got it good.